After six months of a breast milk diet, my daughter’s mealtimes recently got more complicated with the introduction of solids. 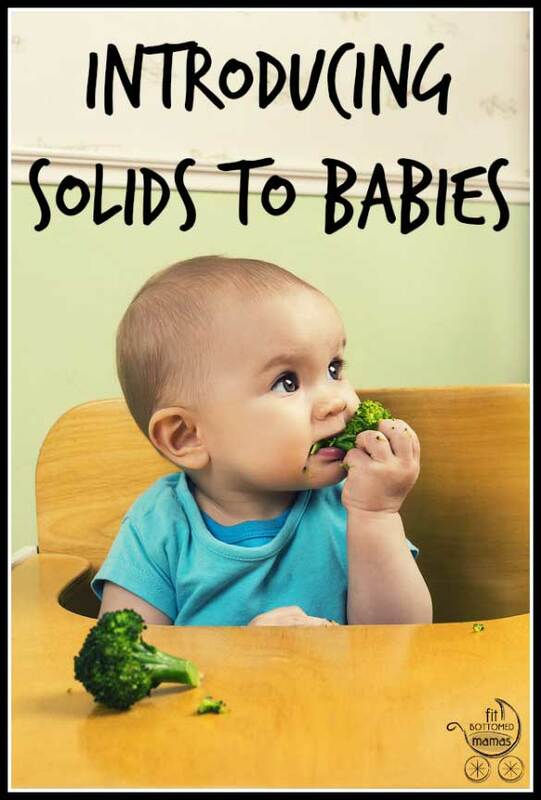 Like so many parenting hot topics, the introduction of solids is one where experts and parents alike have drastically differing viewpoints. Should you give rice cereal first? Purees? Whole foods? When should you start? And how often? As a first-time parent, I’m the first to admit that I have no idea what I’m doing when we enter a new chapter in the baby book. My husband and I make most of our parenting decisions through trial and error, by trusting our instincts and doing what feels right to us—and making mistakes. When it came time to introduce solids, the doctor had some ideas, and I did some research on my own. I came across the book Baby-Led Weaning, which advocates skipping purees and “baby foods” altogether and giving baby real-people food from the beginning so that they can learn to self-feed and be exposed to lots of different tastes and textures from the get-go. The idea itself made so much sense to me (an intuitive eating sort of approach), but my husband was nervous—as are a lot of people who have never heard of this. But because I rarely subscribe 100 percent to any one philosophy and because we’re all about “everything in moderation” around here, my husband and I have done the “a little of this, a little of that” approach to solids. At 8 months old, our daughter has tried purees and cereals, as well as some finger foods, like banana, avocadoand cooked sweet potatoes. She honestly hasn’t seemed too excited about eating solids (can you even call it “eating solids” when most of it ends up on the floor? ), but seems to preferfood when she gets to play with it and try to get it in her own mouth. As with anything, I’m watching the baby’s cues and trying to do what feels right to us. I don’t want mealtimes to be a stressful time, so I’m offering the food and trying not to get frustrated when she’s more interested in what the dog is doing or when she flings another piece of banana onto the floor. And I’m trying to remember the basic rules of feeding kiddos—that the parent decides what, when and where, and the child decides if and how much. I’m pretty sure one day she’ll decide she’s famished and that this food thing is a pretty good idea. I found the website wholesomebabyfood.com to be hugely helpful.